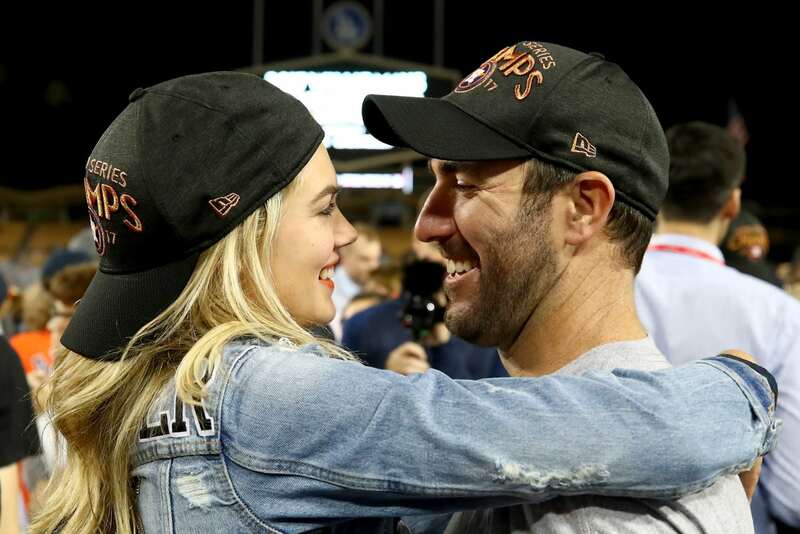 It’s a baby home run for Kate Upton and Justin Verlander. The model and her professional baseball player husband are expecting their first child. Upton announced her pregnancy on July 15 on her official Instagram account. “#PregnantinMiami @justinverlander,” read the caption of a picture of Upton on a balcony wearing a red pantsuit. The couple was first spotted out together in 2015 and a year later, they got engaged. They married in 2017, even though they missed their original wedding date because it coincided with Verlander’s team, the Houston Astros, playing — and winning — game 7 of the World series. He left a sweet message for his wife in the comments of her pregnancy announcement on Instagram.